Where do artificial intelligences come from? The answer appears to be a sort of artificial intelligence factory where baby AIs are born. 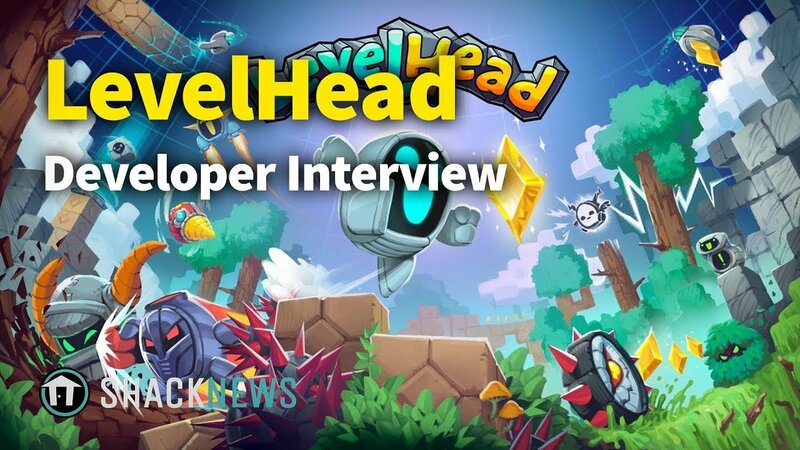 That's the idea behind Levelhead, a new platformer from the folks at Butterscotch Shenanigans. Levelhead is being touted as a "creative platformer" for up to four players, with the idea to collect pieces for the game's level creator. To learn more, Shacknews spoke to Adam Coster, one of the siblings behindi the game. "There are an enormous number of challenges," Coster told Shacknews. "Mostly, we know players are going to play tricks on each other, so there's a lot of 'How do we get players to make things that other players can trust?' And of course, basically, players are going to be making edge cases constantly, so we had to design things very carefully, because we can't just know what the rules are, what the limitations are, and make our own levels that avoid those things. We have to just not have any of those problems, so that players can make anything and that stuff can work. So it makes it so that everything has to be done way more tightly than we would if it was a game that didn't allow players to make their own content." Coster also goes into the origins of the game's title, working with the Nintendo Switch hardware, and more. Levelhead is coming soon to PC, Nintendo Switch, iOS, and Android. For more interviews like this, be sure to follow Shacknews and GamerHub.TV on YouTube.